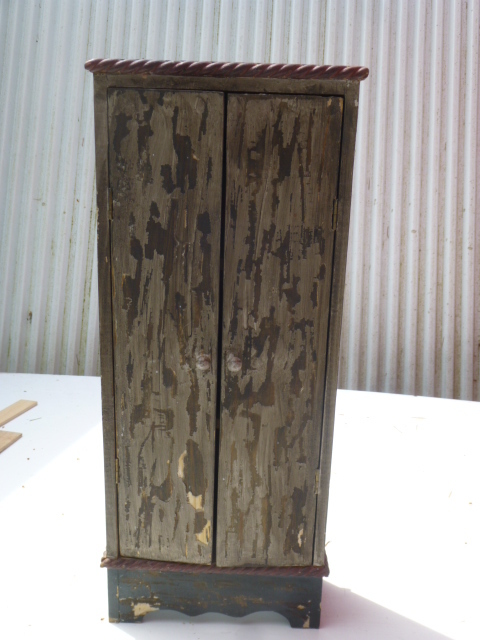 This little cabinet from the thrift store is one of those things that was intentionally distressed, but then had cracked and peeled even MORE! 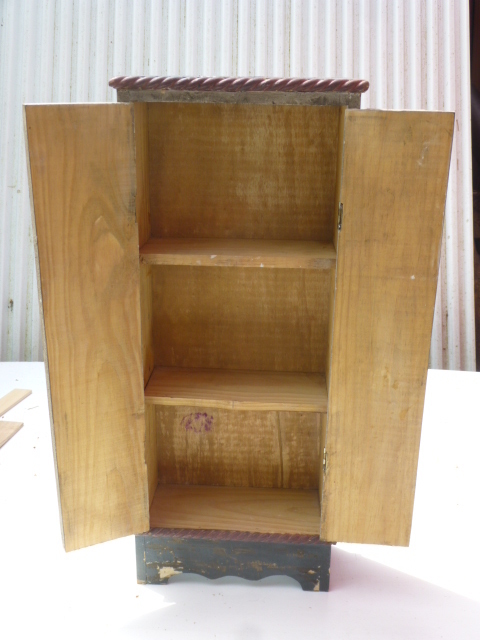 I had to sand it quite a bit to get past the shedding stuff. The inside was stained and in good shape, so I left it ‘as is’. 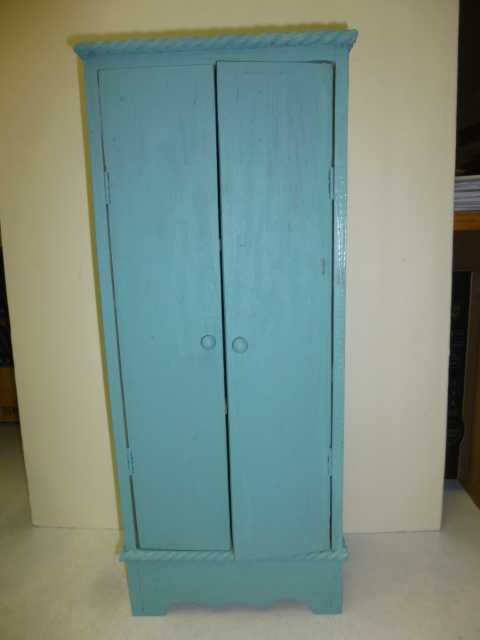 Hand painted (NOT spray paint this time) the outside a darker turquoise then my current furniture shade of aqua. 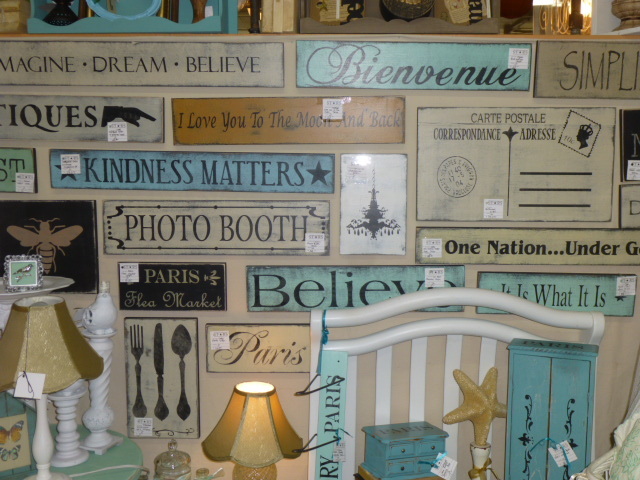 All of the decorative stamps I have were too wide to fit on these doors; so I used a design from one of my sign stencils. 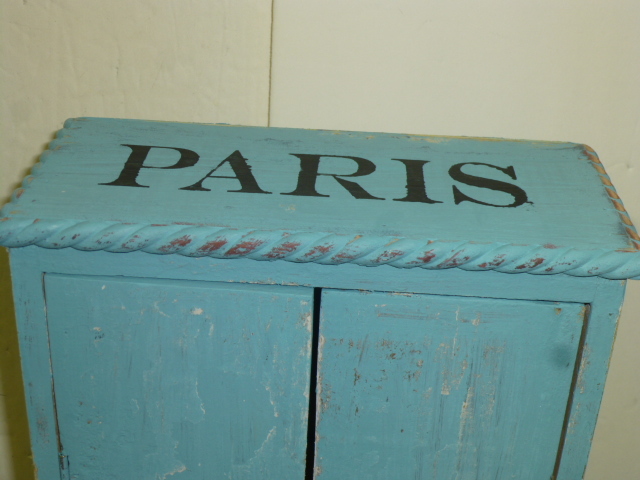 Then stenciled PARIS on the top. 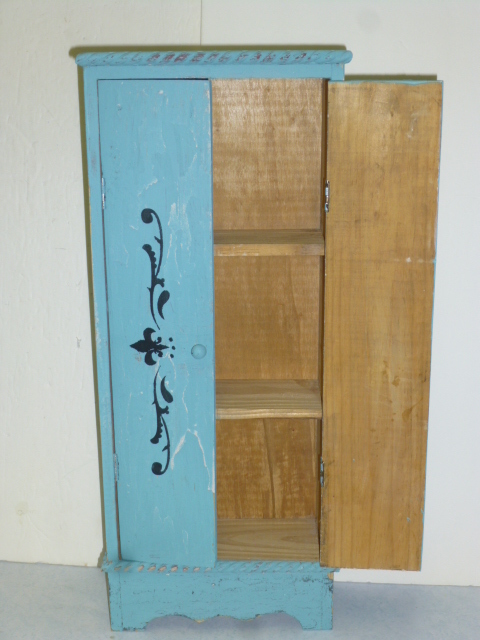 Cute little cabinet to store some little collectibles. 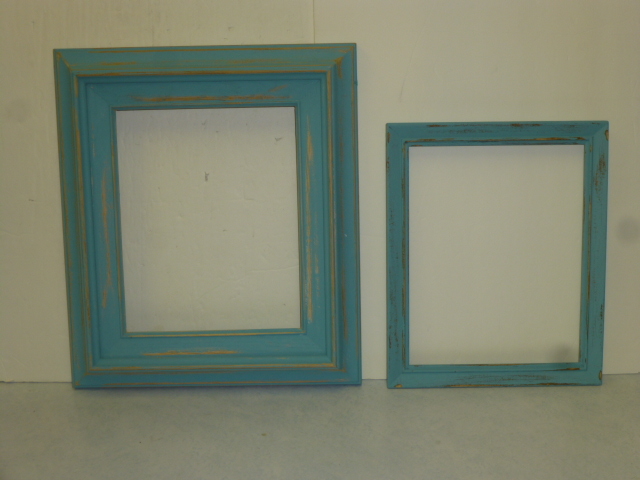 A couple of distressed wood frames went to Stars too. 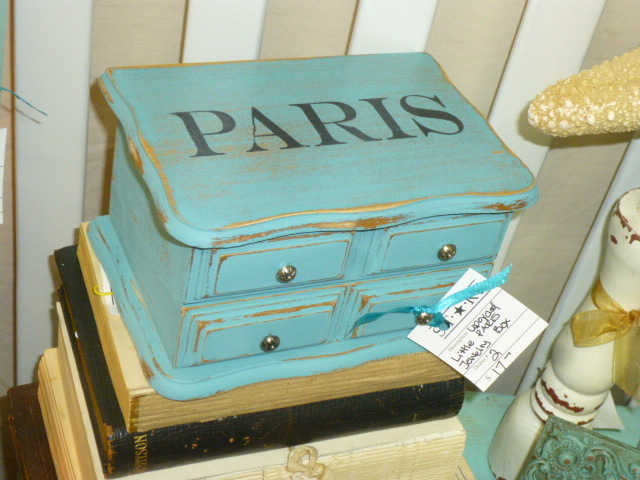 This little jewelry box is $17.00 at Stars. 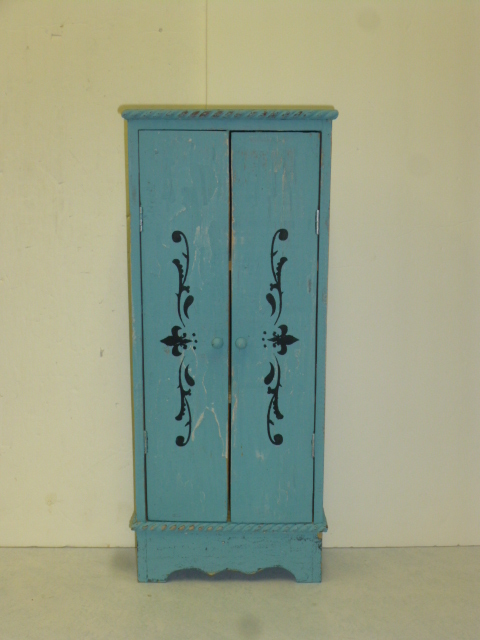 That’s a great price for the Paris cabinet. 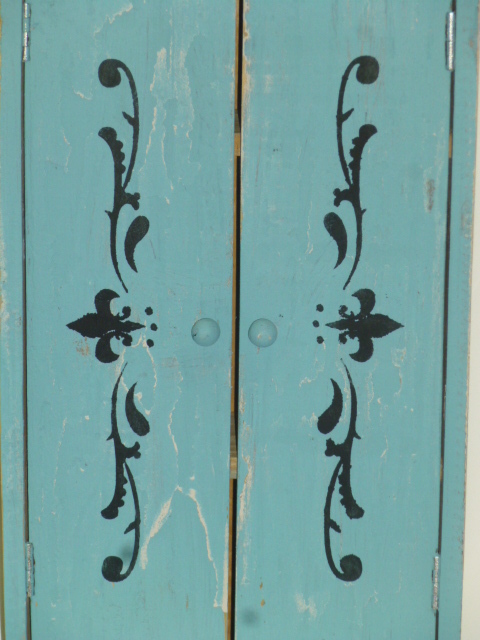 Love the stenciling on the front doors and the blue shade. Thanks for showing it,. You are an inspiration! !